The deadline for Iran nuclear deal has been extended until June 30, 2015, after talks in Vienna failed to reach a comprehensive agreement. 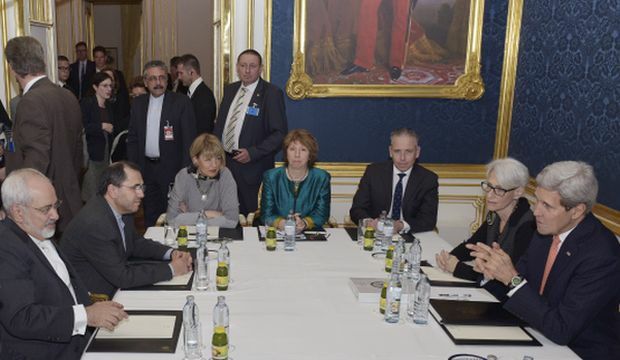 Six world powers want Iran to curb its nuclear program in return for the lifting of sanctions. Iran would be allowed to continue accessing $700 million per month in frozen assets during that period. Diplomats expect to reach a political agreement by March 1, 2015, with the full technical details of the agreement confirmed by July 1, 2015. Iranian President Hassan Rouhani is to give a national address this evening, Iranian news agencies reported. Highly enriched uranium can be used to make a nuclear bomb, but uranium enriched to lower levels can be used for energy purposes. Under the terms of international treaties, countries have the right to develop nuclear energy, which Iran insists is its only aim. However, the International Atomic Energy Agency (IAEA) says it has been unable to confirm Tehran’s assertions that its nuclear activities are exclusively for peaceful purposes. The UN Security Council has adopted six resolutions since 2006 requiring Iran to stop enriching uranium, with sanctions to persuade Iran to comply. The US and EU have imposed additional sanctions on Iranian oil exports and banks since 2012, hitting Iran’s oil revenue badly. Both Saudi Arabia and Israel are also vehemently opposed to Iran acquiring nuclear weapons. Saudi Foreign Minister Prince Saud al-Faisal visited Vienna at the weekend for talks with US Secretary of State John Kerry, though his country is not formally involved in the discussions.